Roarockit is represented in Russia! 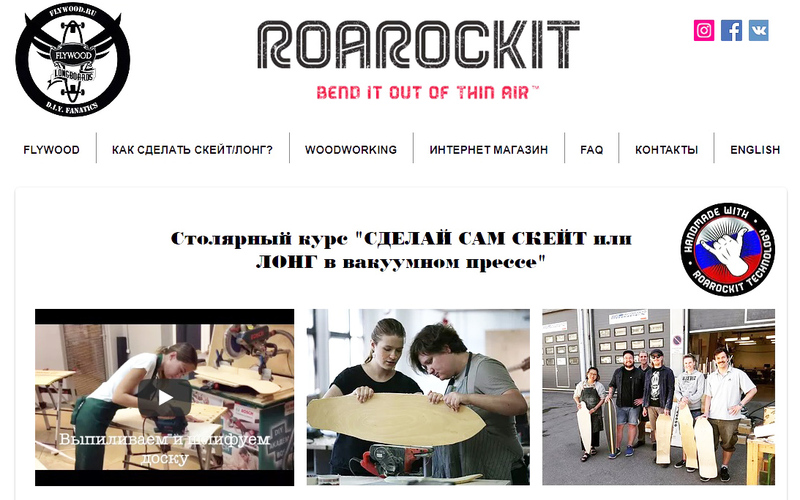 Denis and his Flywood team have been teaching custom skate/longboard building courses for years in Russia and now in the Baltics using the Roarockit method. They are always happy to supply you with TAP kits, tools and veneers, and to share their knowledge and enthusiasm.